Texas Fiesta Bowls are flour tortillas baked into the shape of a bowl and filled with a Tex-Mex meat mixture layered over rice or lettuce. Serve with shredded cheese, sliced or chopped avocados, refried or black beans, sour cream, chopped cilantro and/or salsa. After seeing instructions for making baked tortilla bowls in one of my favorite magazines, I had to try them out. Basically, they are flour tortillas tucked between the upside down cups, then baked until crisp and golden brown. 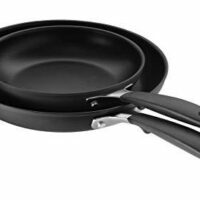 No frying necessary! Form each tortilla into a loose bowl shape and tuck between cups of an upside down muffin tin. Stir up the seasoned ground beef mixture in the recipe below. Prepare the rice and/or chopped lettuce. 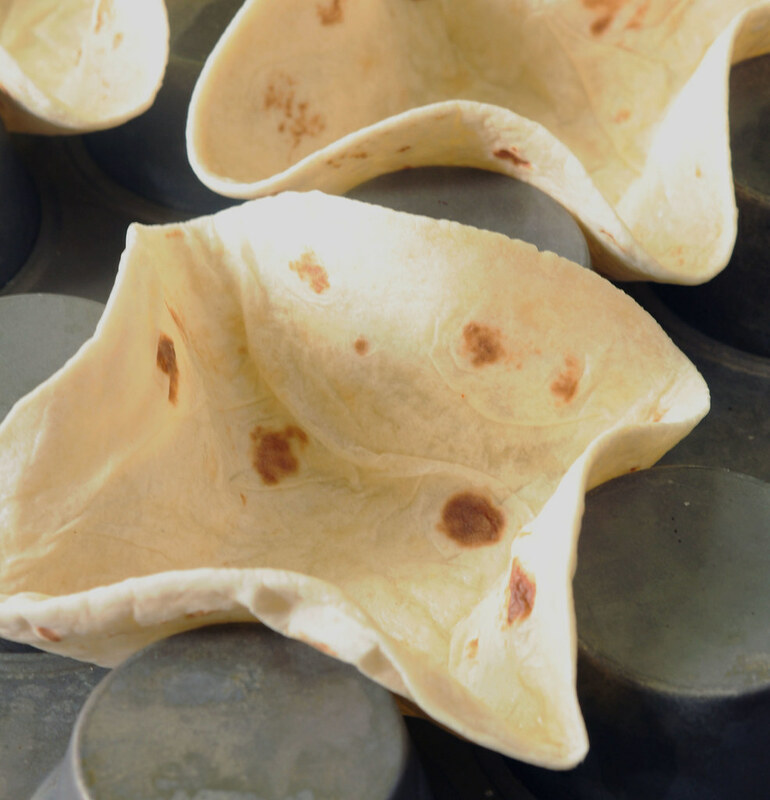 Bake flour tortillas to make the bowls. Collect the condiments you want to serve on the side: cheese, sour cream, cherry tomatoes/chopped tomatoes, avocados/guacamole, beans, salsa, etc. I love recipes like this for parties because everybody can customize their own “bowl” as they prefer. Another reason is because you can use leftover meat and condiments in completely different ways. For example, try pouring the meat mixture over chips and cheese. Or spaghetti. Freeze leftovers in small packages and use them for lunch wrapped in a soft flour tortilla. And of course, my favorite, pouring it over the top of my vacuum-packed lettuce. 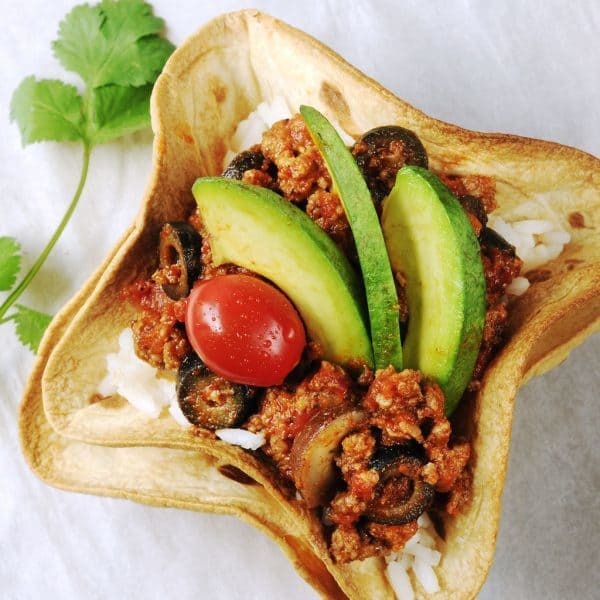 Flour tortillas baked into the shape of a bowl and filled with a Tex-Mex meat mixture over rice or lettuce. Serve with cheese, avocados, tomatoes, and/or sour cream. Brown ground beef in large skillet. Dip off excess fat. Add onion, mushrooms and garlic and cook until softened. Stir in undrained tomatoes, olives, chili powder, cumin, salt and pepper. Simmer 3-5 minutes. Stir occasionally. Serve with shredded cheese, sliced or chopped avocados, refried or black beans, sour cream, chopped cilantro and/or salsa. Preheat oven to 425 degrees. Soften 4 tortillas by wrapping in foil and placing in oven until warm and pliable. Alternately, wrap in a towel and microwave until warm and pliable. Start with about 20 seconds on HIGH and add time as necessary. Lightly spray small (6 or 7-inch) cooked flour tortillas on both sides. Form each tortilla into a loose bowl shape and tuck between cups of an upside down muffin tin. Press tortilla down in the middle so shell will have a flat bottom to sit on. Bake in oven for 8-10 minutes. The shells should be golden brown and crispy all over--no soft places or they will be difficult to eat. Other Tex-Mex Delights you might enjoy…. Can I make these the day before ? That’s GrEaT! We fix Mexican food dishes especially when our son visits. He asked me one time why I fixed taco salad with “no taco bowl” . . . NoW I can fix that! Thanks!! This is so cool Paula! 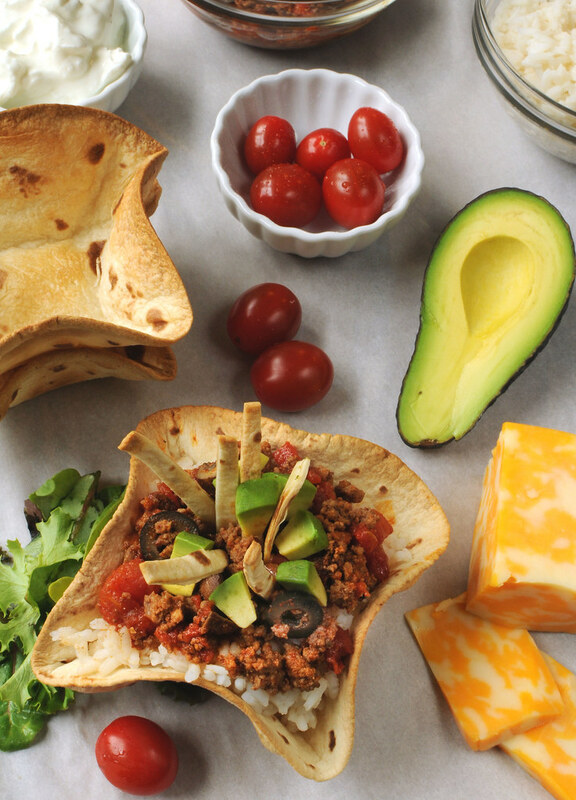 I am gonna try to make these fiesta bowls this weekend. Hi Kami, Great to hear from you. Congrats on the new job and move for the two of you. Hope you enjoy the fiesta bowls. They’re so easy. 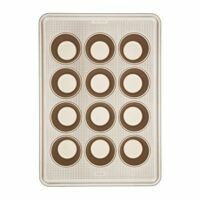 Another great use of these bowls are to sprinkle a little bit of cinamon and sugar on them before baking and use them as ice cream bowls!!! Oh Christa, I love that idea. Who needs ice cream? I could eat the shell by itself with cinnamon and sugar on it. I’m Renata from Testado, Provado & Aprovado! blog (http://testadoprovadoeaprovado.blogspot.com/) and I’m writing an article on EDIBLE CONTAINERS for The Daring Kitchen (http://thedaringkitchen.com). 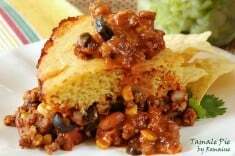 In my research on the subject, I found your post (https://saladinajar.com/family-recipes/texas-fiesta-bowls#comment-2807) and I would love to feature it in my article. May I please use your photo (The first photo of your post) and link back to your post? We always give full credit to the author and photo with a by-line & link. Thanks a lot. I’ll let you know when the article is published. this is such a creative idea for a bowl! perfect for taco salad! I will most definitely try this! Let you know how it goes! I like the idea of selecting a theme. I love Mexican food. The Texas Fiesta bowl looks delicious. I can’t wait to try it. Beautiful colors in your Fiesta bowls! The bowls look easy-will have to try making them. Thanks for the tip! I am loving that technique with the tortilla bowls, thank you! Super post. The email worked!! Yea!! I wonder if I can get Jerry to make the bowls?? Looks great! Cute! What a great presentation. Can’t wait to try this. I love the bowls- thanks for instructions for making them! This is making me SO hungry! I wish I was having them for dinner tonight – might have to try them soon! Crispy but not fried…awesome. I love Real Simple but I’m way behind in my magazine reading, so I haven’t seen this tip yet. Those salad cups are genius! No more fried ones for me! How interesting! Last year when we hosted the extended family, we served a baked potato bar, but this sounds even better. (lower carbs!) My mind is already spinning with fun decorating ideas for this table! Thanks! I already have your site bookmarked! Love it! I love all sorts of edible bowls and containers! Love this one with the tortillas! Sounds so delicious! Gotta try it!